One in five admit to driving unroadworthy cars because they can’t afford the repair bills, according to new research. Warranty provider motoreasy surveyed 2000 drivers and found that nearly 25 per cent of the under 55s ignore necessary repair work on their vehicles because they don't have the money to pay for the repairs. This drops to 8.5 per cent for those aged 55 or over. The findings come as annual inflation, as measured by the Consumer Prices Index, reached 1.8 per cent in January – its highest level since 2014. The survey shows that men are more inclined to dodge necessary car repairs than women, with 19.5 per cent and 17.3 per cent respectively saying they drive cars carrying faults like worn brake pads and discs or broken suspension springs and shock absorbers. Warning lights – especially when intermittent – are also frequently ignored. Drivers in the North West (14.8 per cent) and East Midlands (15.0 per cent) are least likely to skip repairs, where as those surveyed in Scotland (22.8 per cent) were most prone to avoiding repairs because of the cost. When questioned, London motorists reflected the national average of 18 per cent. 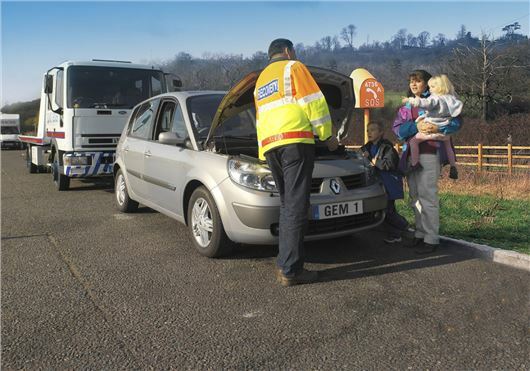 The research coincides with a Government consultation to extend the legal requirement for the first MoT for cars and vans from three to four years. Under current MoT rules, a new car is required to undergo an MoT test on the third anniversary of its registration. However, the Department for Transport says modern vehicles are more resilient to wear and tear - and therefore roadworthy for longer. According to the Honest John MoT Files, two out of 10 cars fail the first MoT, with headlights, tyres and electrical items among the most common failure points.